While I was busy cleaning out the Johniwanna garage this weekend, some amazing things popped up out there in the immense world of car culture. There is still plenty of racing going on as well. I also took a trip back to one of my favorite “car movies” and watched Wayne’s World for the umpteenth time. Life is so much better when you are reminded the “Mirthmobile” exists. So let’s take a look at what was deemed worthy of a view through the lens of Rear View Mirror. 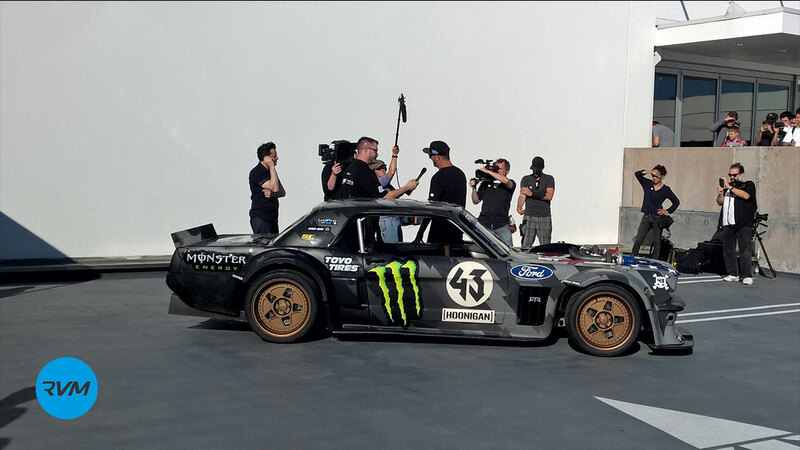 What will Ken Block think of next? Well the cat is out of the bag, and it’s called Climbkhana. Defined, “Climbkhana” is actually a series of videos that will feature the Hoonigan-in-chief destroying tires in a most excellent fashion. 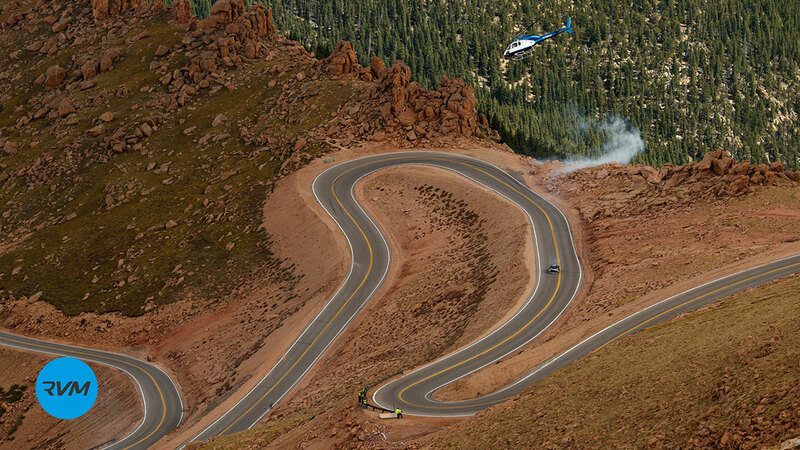 The Pikes Peak Highway is the first in this series, and in classic Block style he has quite literally left his mark on one of the most famous roads out there. Block took on the 19-mile climb to 14,115 feet in the V2 Hoonicorn that you can of course find in the Hoonigan Car Pack. The 1,400 horsepower, methanol burning beast, goes through tires like it does its gears, very quickly. ““This car is insane,” said Block. “I feel it genuinely wants to kill me!” So what does he do? Take it to a road where if you get it wrong you might just be history. Co-director Brian Scotto talks about one corner where he asked Ken to put a wheel off in last week’s Daily Transmission episode. The details are worth a look if you are trying to sooth your Climbkhana excitement. 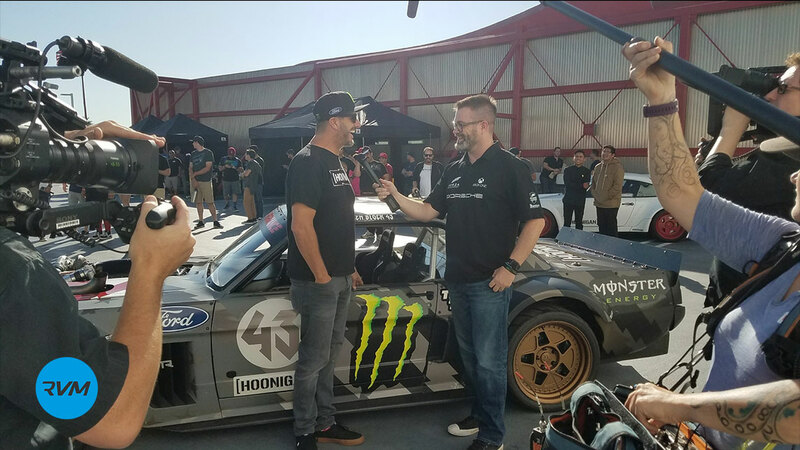 The official premier took place at the Petersen Museum where Block and the Hoonigans were on hand to chat with Forza Community Manager Brian Ekberg. Here are a couple photos from the event and a couple from the actual shoot at Pike’s Peak. You can view the whole album on the Forza Motorsport Facebook page. If you haven’t decided what version of Forza Motorsport 7 to buy yet, we just let out with 10 more reasons to go big and buy the Deluxe or Ultimate edition. These 10 hero cars from The Fate of the Furious™ film offer a range of driving experiences from completely fantastic to straight from the factory. Looking to see what the Dodge Demon can actually do at the strip? What about the Plymouth GTX that has so much horsepower we can’t even talk about it? Or maybe a clean wide-body Subaru BRZ is more your style? Feeling fancy? The Jaguar F-Type R or the Mercedes-AMG GT should fit the bill. Take a look at the trailer for a taste of what each has to offer, then just hang tight a few more days until you can drive them all. Your Forza Motorsport 7 cover car, the 2018 Porsche GT2 RS, has recently spent some time at the Nürburgring. There have been several analyses’ of its performance there saying that it looks like it is the new production car record holder with a time of around 6:48 under good track conditions. Your fellow Forza community member Dzero4 was there with his camera and endured the chilly weather in anticipation of hearing that awesome flat-six speeding by. He took some amazing photos of the lapping and even got a shot included in a highly viewed YouTube video by Misha Charoudin. 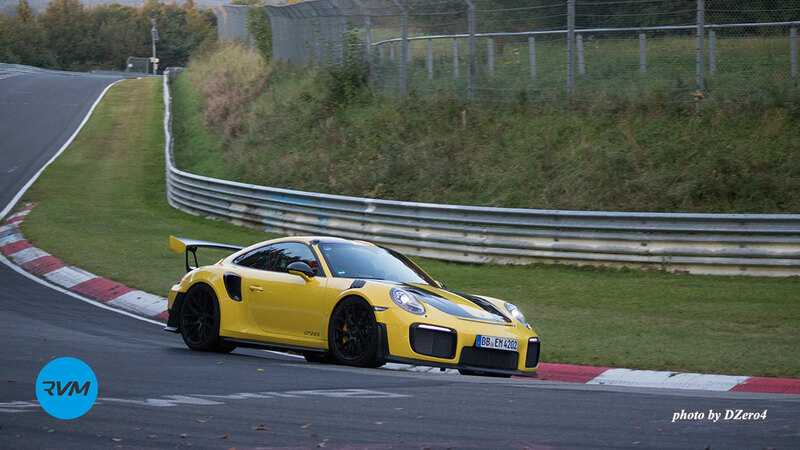 Did the GT2 RS beat the current record held by the Lamborghini Performante? Take a look at Charoudin’s analysis of the laps in this video and see what you think. There is also discussion of what is a production car, since the McLaren P1 actually ran faster than both the Performante and GT2 RS. There is so much to love about Ryan Tuerck’s latest project and video. For starters, he built a Toyota GT86 with a Ferrari 458 motor. It looks and sounds like the most beautiful Frankenstein drifter I could possibly imagine. A Ferrari motor, at the limit, under power, is simply put, a gift, and in this case Tuerck and his team just made the car world a more beautiful place. The video was shot at a location called Rocky Point, not too far from Portland to be called in the Portland, OR area. It’s an amazing road that transitions from woodsy to beautiful view ridges. I’m going to spoil the beginning and just say it starts by Tuerck getting the first turn wrong and he stuffs it. Fortunately, that isn’t the end of the video and we all get to hear what Tuerck has dubbed the GT4586 sing its glorious anthem of exhaust note and tire shredding. 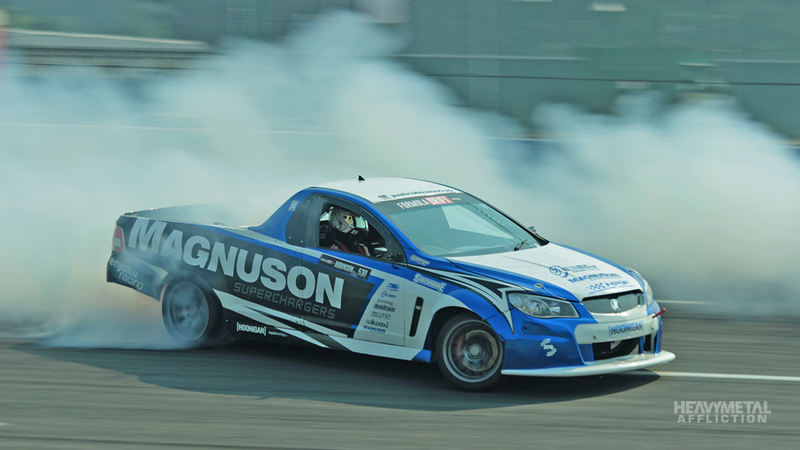 Last week we featured Josh Robinson’s 1,000 horsepower Holden Ute in Heavy Metal Affliction. It’s the rig that he drove in the 2017 Formula Drift Pro 2 series. There are plenty of cool details about what it’s like to leave your home and chase your dreams in this story. Plus, a gallery of photos that give you a good idea of just how good a wide-body, carbon fiber drift, Ute looks. Call it the first Forza Motorsport 7 painting contest if you want. Robinson has posted a livery contest and wants the Forza community to come up with his next livery. Yes, this will be applied to his real Ute and will even debut at SEMA at the end of October. So get your ideas together and check out the post for details. Renger Van der Zande took the lead in the Visit Florida Ligier with two-minutes left at the corkscrew and went on to win the P class race at Laguna Seca. The victory was historic in that the Florida based team was hit hard by Hurricane Irma and struggled to ready to race. It was also their first win of the season. The GTD cars were on track as well making for a deep field at Laguna Seca. The #63 Scuderia Corsa Ferrari won this round, followed by the Michael Shank Acura NSX and the Park Place Motorsports Porsche 911 GT3 R.
Audi swept both races with full podiums at Spielberg this weekend. On top of it all is Mattias Ekström, who is on top of the points at the end of the 15th race weekend in the DTM series. This will be Ekström’s third DTM title should he maintain the lead to the end of the season. Only eight more spots remain in the Round of 12 for the NASCAR championship after Kyle Bush, Kyle Larson and Brad Keselowski clinched their spots after this weekend’s race in New Hampshire. There were playoff impacting results after a huge wreck with just a lap left in the second stage. Kyle Busch and Kevin Harvick’s cars ended up locked together taking both drivers out of any consequential points. In all eight drivers were involved in the wreck. With tomorrow being the final #TuesdayDrive before Wednesday’s epic marathon Forza Motorsport 7 stream, we are going to take the time to recognize our favorite cars from Forza Horizon 3 in tomorrow’s show. I will be driving my favorite rides and taking suggestions from the audience as we drive our way into Forza history. Think on what your favorite rides have been. Whether they are from DLC, from the Forza Horizon 3 garage, or any of the special cars that found their way into the epic Australian adventure this game has been. I’ll also be giving away a few last FH3 posters and a some Hoonigan gear to celebrate. Show starts at 1 p.m. Pacific on Mixer and Twitch! Be there or be oblong!